As we can see in the H4 chart, the correctional downtrend continues; the pair keeps updating the lows. 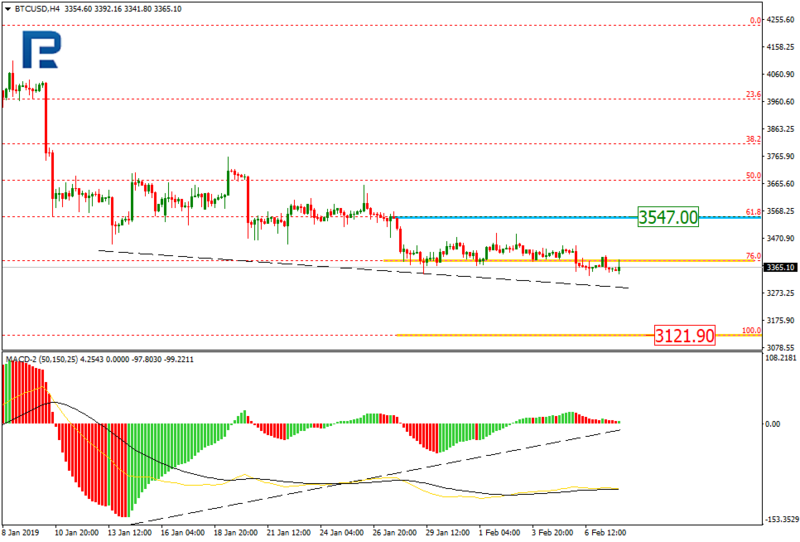 After reaching the retracement of 76.0%, BTCUSD may continue falling towards the low at 3121.90. However, there is a convergence on MACD, which may indicate a possible pullback towards the retracement of 61.8% at 3547.00. 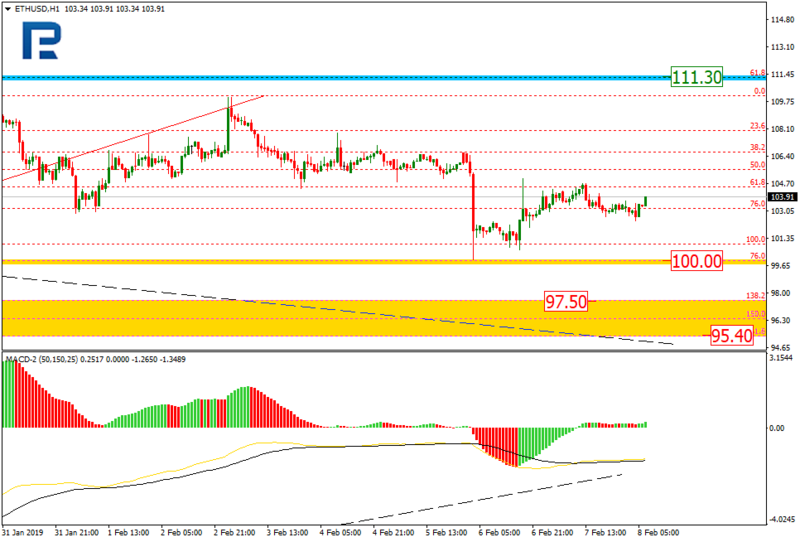 In the H1 chart, the pair is consolidating and testing the lows. 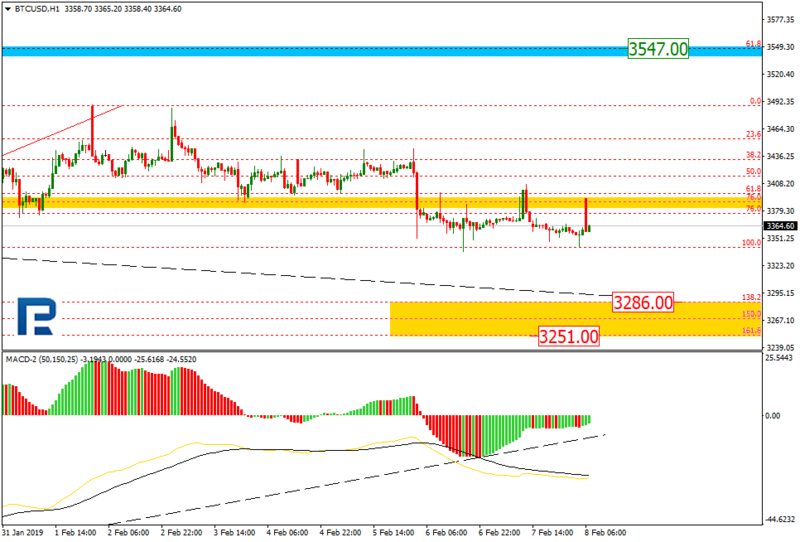 If the price breaks the previous low and fixes below it, the instrument may continue falling towards the post-correctional extension area between the retracements of 138.2% and 161.8% at 3286.00 and 3251.00 respectively. As we can see in the H4 chart, after reaching the retracement of 76.0%, ETHUSD is starting a new pullback towards the retracement of 61.8% at 111.30. In the future, the price may break the low and continue falling towards the post-correctional extension area between the retracements of 138.2% and 161.8% at 97.50 and 95.40 respectively. 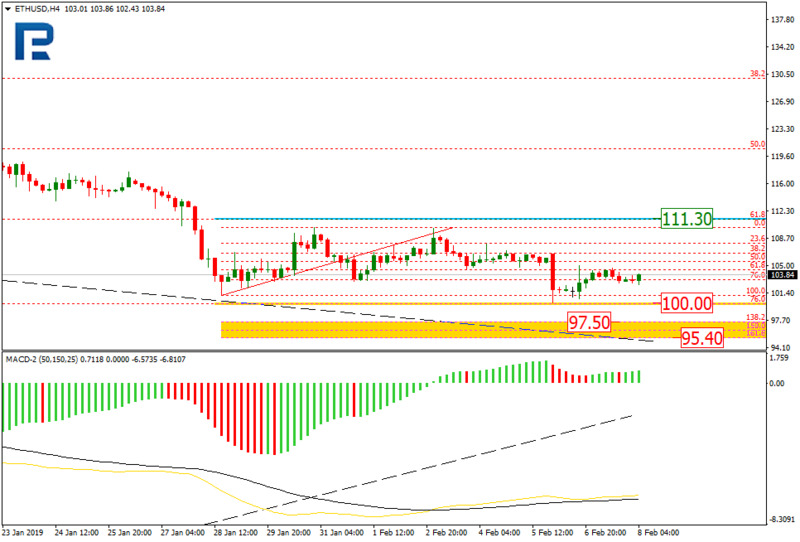 In the H1 chart, after reaching the retracement of 76.0%, the price is forming a new correction to the upside.